Your child is growing up, and growing past their childhood decor. It's certainly not the time to break out the sombre decor that some fully-fledged adults might prefer, but the good news is that among affordable retailers, you have a lot of options these days. 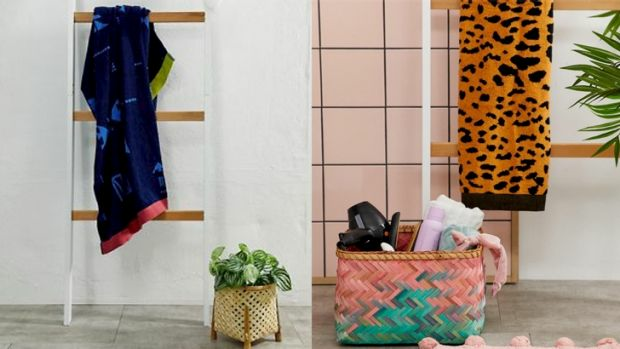 Popular fashion retailer ASOS has just launched its very own homewares range called ASOS SUPPLY, and it's perfect for the the teen market. The collection is youthful and doesn't take itself too seriously - it won't cost you an arm and a leg either. 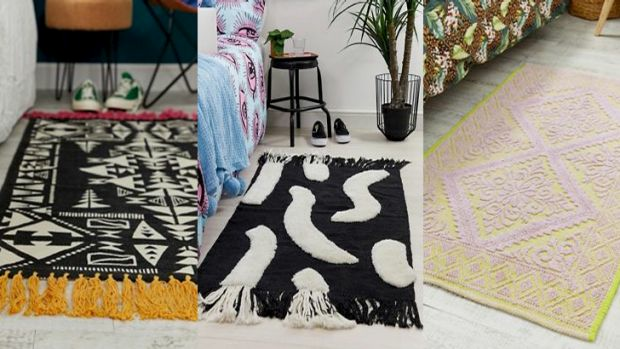 There are three looks that follow key interior trends for 2019 - Eclectic Luxe, Cool Minimal and Global Traveller. 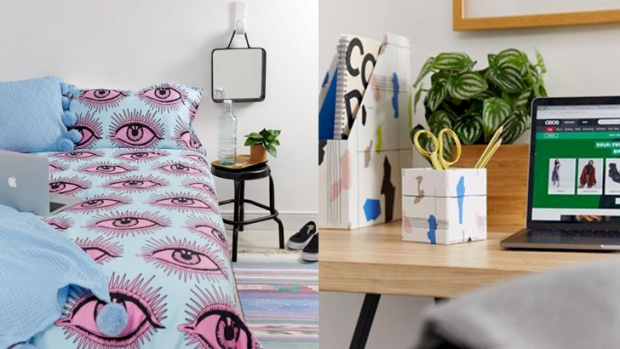 Eye See You Doona Cover (left - $70) and printed pen pot ($12) and magazine holder ($16). When it comes to decorating a teenager's room, it's a good idea to start with bedding that can serve as a hero piece which the rest of the room can be designed around. From there, check out the cool rugs, desk accessories, storage and bathroom ranges. If you're going for plain bedding, make it interesting with a patterned throw and a bedside rug. Left to right - Metallic storage bags ($24), woven throw ($64), tray and pot ($28). Left to right - triangle rug ($64), brushed strokes tufted rug ($72), knotted rug ($64). The bathroom collection is loaded with personality, with cool animal prints and abstract patterns along with textured basket storage comprising the on-trend range. 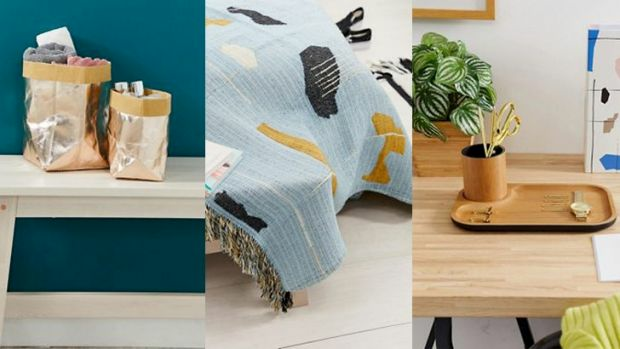 ASOS branching out into homewares is an exciting retail development sure to rival current frontrunner Kmart. A long-time favourite of twenty-somethings, the appeal extends to style-concious teens who want to access affordable fashion, and now homewares.